It’s not hard to understand how over the past few decades, the speakers market has grown to where it is today. After all, sound it one of the main elements of every party, and these days almost every home has either a pair of bookshelf speakers, or at least one of them as part of a home theater system. But what can an audiophile get for under 500 USD or equivalent? (currently $500 USD equals around £400 GBP or €450 EUR). To be fair, $500 is a decent sum of money and you can pick up some amazing speakers at this price point – and a lot less. The products below range from around $200USD to $500USD (also check out our list of best bookshelf speakers under $200). 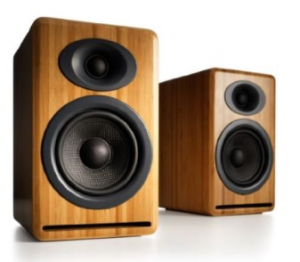 Our top-rated, sleek looking pair of real-wooden speakers called the Polk RTI A3 are proof that you can certainly get a high-end speaker without investing too much in it! The Polk RTI A3 delivers on the promised high-quality sound, and their sturdy build means they will last for years to come. With the KEF Q100, you get the impeccable sound quality of professional and pricey speakers, for only a portion of what you would expect to pay. This, along with the phenomenal build quality and massive amount of satisfied customers is why we had to put the Q100 at least on the second-third position, just a smidge behind the Polk RTI A3. I wouldn’t take a bookshelf speaker top list seriously if it didn’t have a Bose product on there and the 301’s are pretty damn good value for money. The horizontal Bose 301 speakers will fit perfectly on the shorter bookshelf and are an absolute pleasure on the ears and for many, on the eye. Wharfedale may not be a brand you’ve heard of, but it’s a high end British brand that truly delivers. 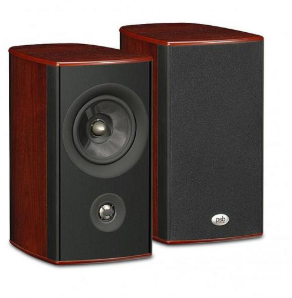 This modern-looking pair delivers crystal-clear high frequency definition up to 30kHz, and it might be a better fit for your space or decor – beautiful rosewood finish is also available. 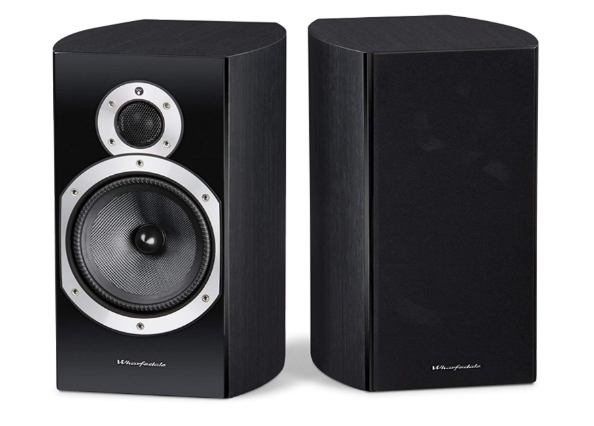 This energy-efficient pair of bookshelf speakers provides life-like sound that will set your living room room on fire. They make you feel as if you’re right there, in the middle of the action. 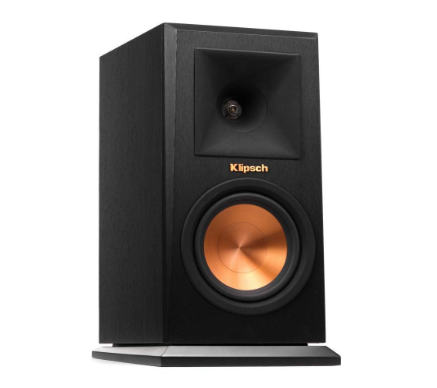 One of the lower priced speakers in this Under $500 category, the Kipsch RB-61 II holds up with the big boys. We all know that bookshelf speakers are very practical and handy. However, they can come in numerous dimensions, designs and vary in features and performance. All of this can get also very confusing, too, it isn’t unsurprising to see potential buyers stuck when trying to find the perfect match – I know I was. 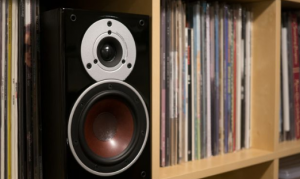 After all, most of us want to get the highest bang for our buck, and in the case of a costly bookshelf speaker investment, we also want to be able to get a few good years out of them. So, the first thing that you need to know is that you can get a very, very decent pair (or one, if that’s what you’d prefer) of bookshelf speakers without going overboard with your spending. All you need is to do your research, and understand what your specific audio needs are. Of course, the buying process may also include trying the unit before actually buying it, but we’d strongly encourage against that. More often than not it does more harm than good, and you’re more likely to make an impulse buy. I’m writing all this in order to help you get the best deal you possibly can in today’s market. When you are armed with this much knowledge, you won’t end up disappointed. But, before we get to the main point, let’s start with the basics. Those who know their speakers probably know that bookshelf speakers are intended to be a part of a separate audio system. This basically means that you need to pair them with an amplifier or a dedicated player. Namely, this is how they provide a self-contained system. However, they have a tendency of being quite boxy. Still, considering the fact that they can be found from different manufacturers, it also means that you can find some that are perfect for the space you have at disposal. Bookshelf speakers most often come in one specific package – you get a big driver, or a woofer, and a little driver, the tweeter. In addition to this, they are known for providing a sonic oomph like you cannot imagine. They can often even provide the same experience you would expect from large floor-standing speakers. When talking about bookshelf speakers that are budget-friendly, there are a lot of things to go over. For instance, the market is quite exciting here since this is the point that at which you can expect almost anything. We cannot claim that in the budget price you are going to get best product ever. However, if you are cautious and informed enough, you can get quite a lot. For instance, the best thing about getting bookshelf speakers under 500 is the fact that you don’t have so much pressure on you. While investing in a high-end audiophile speaker is sweet, it can also take up a lot of energy because it’s a more significant investment of time and money. The best thing about this sub-500 dollar price-range is the fact that you can still expect high-quality hardware. Regardless of the size or the price point, most popular brands tend to use good hardware these days. In addition, bookshelf speakers in this range lack anything but performance since most brands have their own design team and reputation. Because the manufacturing procedure will be similar across a brand’s product line, this will have a direct effect on performance. So, by buying from a reputable brand (rather than a cheap unknown brand packed with lots of gimmicks), you’re more likely to get better sound quality and overall durability, among other things. This basically means that you can get a great sounding speaker that provides clear audio with confidence. In most cases, if you are picky enough, you will also get a reasonable set of features and connectivity options. After all, high-quality budget friendly speakers can often be in direct competition with other, more expensive models. One thing is sure, you can certainly expect to enjoy high-quality audio in the comfort of your home. Considering the fact that at this price range the market is quite competitive, it is more than understandable to be a little confused with all the available options. So, to help you out, we have combined a list of the most important features, characteristics, and specs that you should look out for. By following this buying guide, you can ensure that you will be completely satisfied with your purchase. In the end, this is what will bring you the high-quality sound, connectivity and look you crave. Although underestimated, this aspect of bookshelf speakers is very important. Any audiophile has certain needs and following those is how these brands gain their recognition. After all, most of the reputable brands got popular because they satisfied the needs of the sound lovers from all over the world for decades. When looking for budget-friendly speakers, take note on who made them and their history. If you get a bookshelf speaker from a reputable brand, try and make sure that you know exactly what they are known for. For instance, if a brand is known for offering sound-clarity, and this is what you are looking for, you should at least take a look at their offer. In addition, getting a budget-friendly speaker from these brands will also end up being more efficient in the long run. If you need to replace something, replacement parts from reputable manufacturers are much easier to obtain than cheap unknown brands. Since all of us have individual audio needs and we all share the love for awesome sound, we should also accept the fact that we all have different standards about what “good sound” actually is. 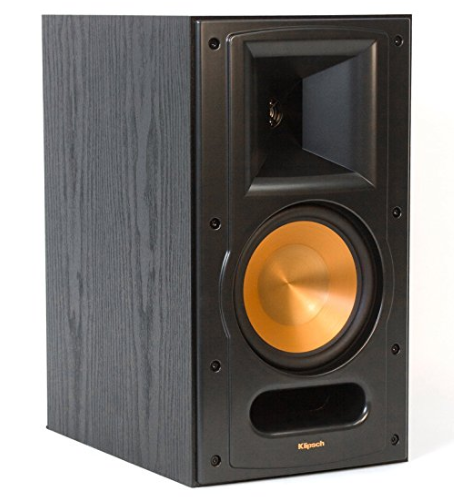 The performance aspect of bookshelf speakers is largely influenced by who actually made the speakers. So, if possible, first make a list of specs and features that will satisfy your needs, and then choose accordingly. Feature-wise, also make sure that you also get the connectivity you need. For instance, some bookshelf speakers can be connected to a very small range of devices. So, in order to avoid getting a unit that you won’t be able to use, re-check your connectivity needs. Also watch out for sellers and brands that appear too good to be true – ask yourself do you really need all those flashy lights, several connection types, a built in clock and a karaoke machine? If your speaker contains too many unnecessary extras, how much time and money was actually spent on the important components? Even if you’re being careful with your budget, you should still think long term. So, make sure that the speakers you are getting come with a reasonable warranty, too. This way, can at least be sure that you will have a working speaker or two at least until the warranty is valid. Be careful if you’re considering a brand that offers subpar warranty – they probably have a reason to do so and it might be wise to keep away. Also remember to warm up your speakers – get them running music with a good dynamic range at a reasonable volume and don’t go cranking them to 90 straight out of the box. Ease them in, let them get used to the temperature and environment. You should also know that not every bookshelf speaker will sound good in every type of room. For instance, smaller speakers work for a standard bedroom. However, they can sound pale in larger rooms. On the other hand, larger speakers overwhelm small spaces and can provide decibel levels that are just too high. Also remember your bookshelf or whatever surface you intend on setting your speakers on – are they suitable and secure? To avoid unexpected situations, make sure you check the wattage output of your chosen speaker. In addition, consider the dimensions of your room, as that can affect the audio quite a bit. Also, if you have larger furniture, uncovered walls, rugs, and carpets, know that they will absorb some of the sound. In order to get the best possible output, make sure you match your speakers with an amplifier or a receiver. This will ensure that the right amount of power is delivered. 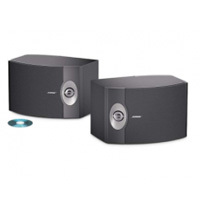 For instance, some speakers will need a range of 30 to 100W of output power to provide decent sound quality. So, check the specifications to ensure you’re getting the right information. If you want a multi-channel or a surround-sound system, you should probably choose the same brand for all of the components you’ll be using. If you choose to mix components and their brands, you will probably need to do some fine-tuning.